Federal regulators are putting U.S. automakers on notice. The EPA said Friday it will test emissions at every automaker to make sure no other company is trying to dodge pollution regulations like Volkswagen did. The agency will send a letter to all manufacturers to notify them that it's stepping up its emissions policing. The EPA said it will test every model of diesel car, SUV and pickup that's now on the road in the U.S. The testing won't include large vehicles such as semi-tractors and buses, which also use diesel. It added that the new testing procedures will be more vigorous to prevent automakers from cheating, and will more closely approximate the emissions from a vehicle in real-world driving conditions. Last week, the EPA found that Volkswagen had falsified pollution tests on 482,000 VW and Audi diesel cars in the U.S.
Those models include the VW Jetta, the Passat from 2014-2015, the Beetle and the Golf from 2009 through 2015, and the Audi A3, model years 2009-2015. Audi is owned by Volkswagen (VLKAY) Group. Volkswagen manipulated software so its cars would seem cleaner when they were being tested. But when they were on the road, the cars pumped out nearly 40 times the legal level of nitrogen oxide. Volkswagen has since admitted it cheated. EPA officials insisted on a call with reporters Friday that the previous testing procedures were sophisticated and sufficient to accurately detect the emissions from the diesel cars as long as a manufacturer is not deliberating trying to cheat the process. Since the EPA plans to test older cars that are no longer available from the manufacturers, the agency said it will borrow cars from individuals as well as businesses, such are rental car companies, which own the vehicles it wants to test. Volkswagen's directors are meeting Friday to name a new CEO after Martin Winterkorn stepped down earlier this week. Related: Will anyone go to jail over Volkswagen diesel scandal? Winterkorn said he was unaware of the emissions cheating and apologized for the possible data manipulation in roughly 11 million cars worldwide. VW has had to set aside €6.5 billion ($7.3 billion) to deal with the issue, but the final total could far exceed that. The automaker is also facing criminal probes from U.S. state attorneys generals and possibly the federal government. The EPA could impose a civil penalty of $37,500 per violation, which would come to $18 billion. 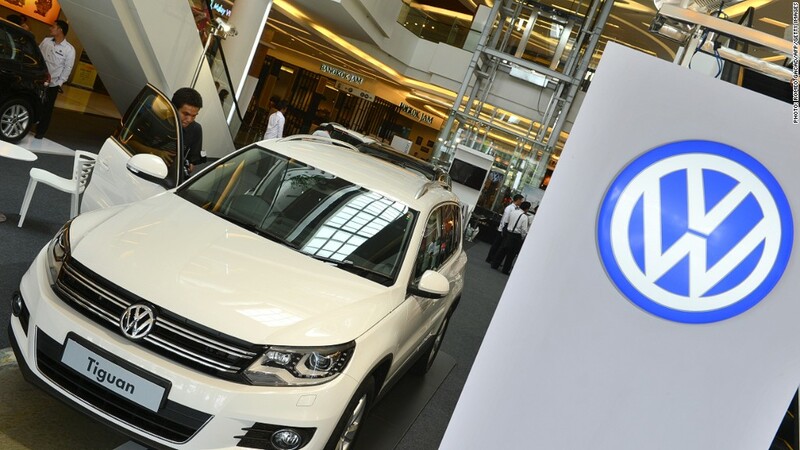 Volkswagen's share price has plunged 50% in the wake of the scandal.